On the nose aromas of yellow fruits and flowers, yellow peaches, melon and tobacco. On the palate it's a sweet, sweet taste - vegetable grape skin notes, clove, final on spices and a very ligther musky note. An exceptional soft hints of vanilla. 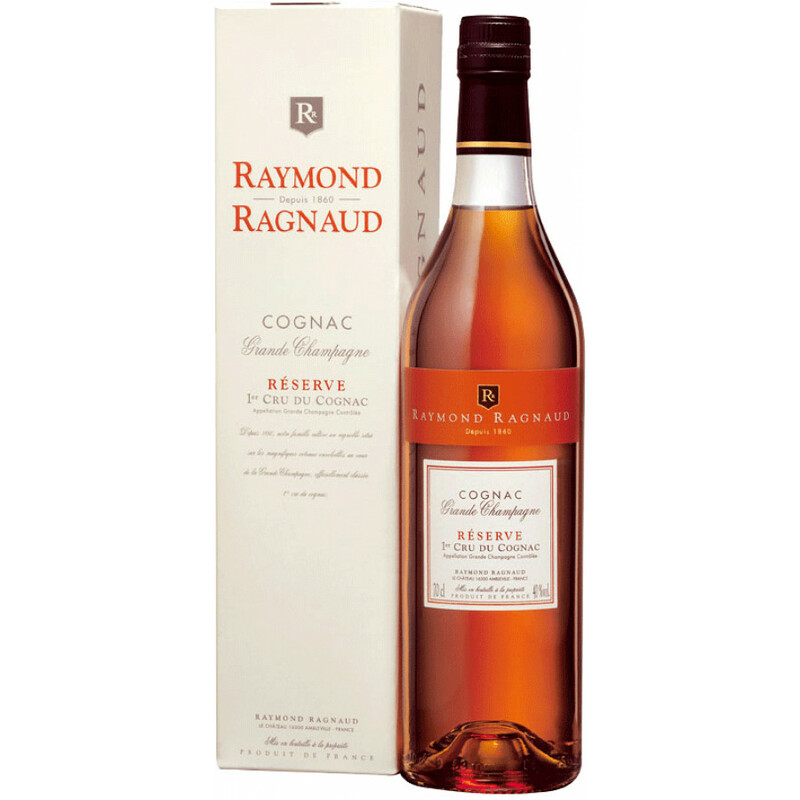 The Raymond Ragnaud VSOP Reserve Grande Champagne Cognac is a wonderful and versatile product from this popular cognac house. Created from eaux-de-vie grown in the premier terroir of the region - Grande Champagne, this is a great example of a premier cru VSOP quality cognac. On the eye it's a bright golden color, with subtle reflections of bronze. It's delights with an almost feminine taste - it's not an agressive cognac. The components that have gone into making this VSOP are all aged for around 7 years. Presented in a traditional style cognac bottle, and a great choice as a staple VSOP to have in your cabinet. Enjoy neat as a digestif, or perhaps on ice or with a mixer as an aperitif. It can also be enjoyed as an extra special ingredient in your favorite cocktail.